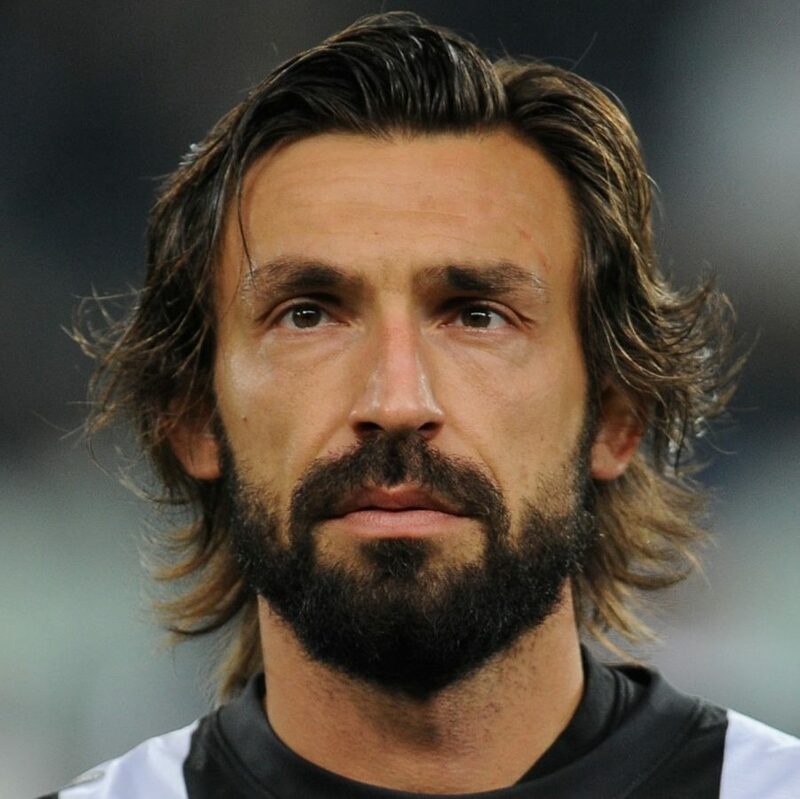 Andrea Pirlo is an Italian professional footballer. 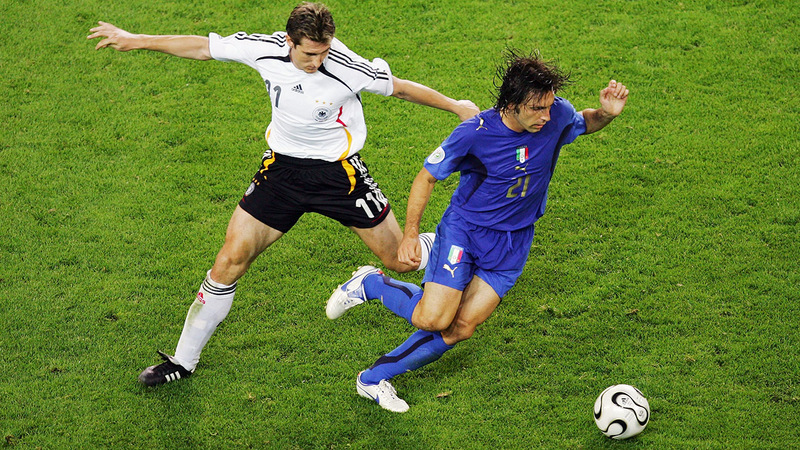 Pirlo is usually deployed as a deep-lying playmaker in midfield for both his club and national sides, and he is widely regarded as one of the greatest ever exponents of this position, due to his vision, ball control, creativity and passing ability; he is also a free-kick specialist. 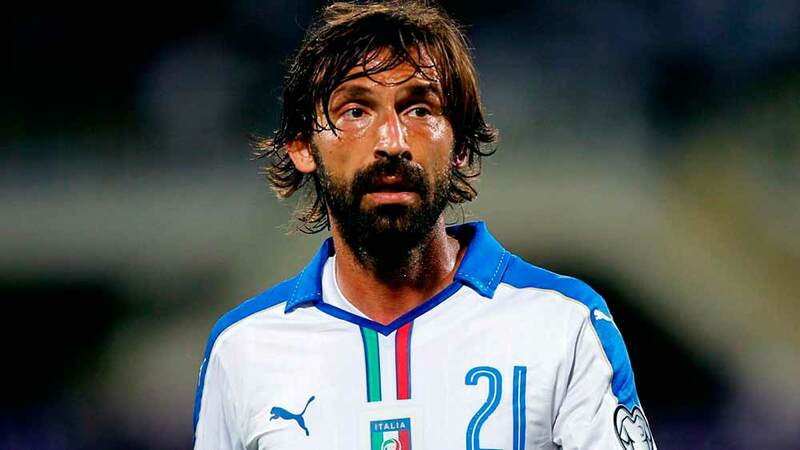 Pirlo began his club career as an attacking midfielder with his home-town side Brescia, where he later helped the team to win the Serie B title and obtain Serie A promotion in 1997. His promising performances led to a move to Internazionale in 1998, but he struggled to gain playing time at his new club, due to his lack of pace, as well as heavy competition with other players in his position, and was subsequently sent on loan in 1999. 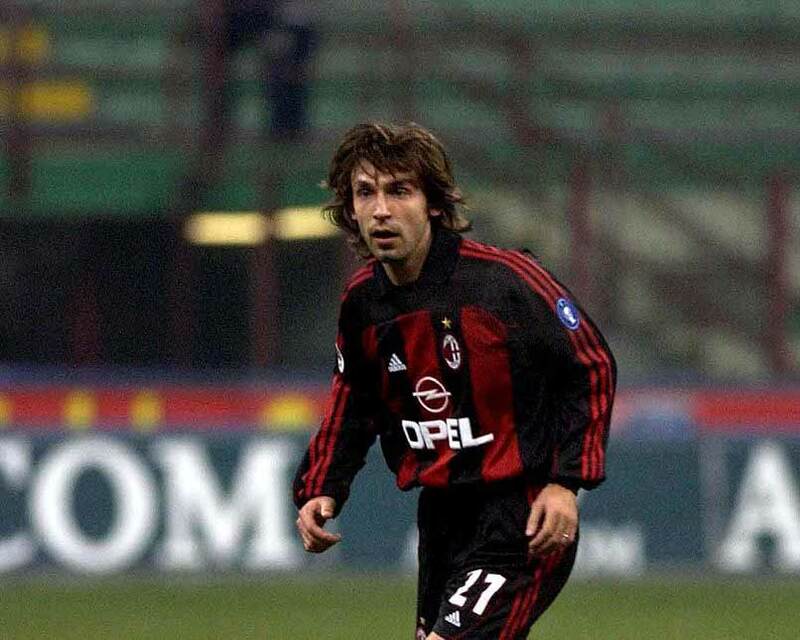 Despite successful spells with Reggina, and Brescia once again, Pirlo was still unable to break into Inter’s starting line-up, and was sold to cross-city rivals Milan in 2001. 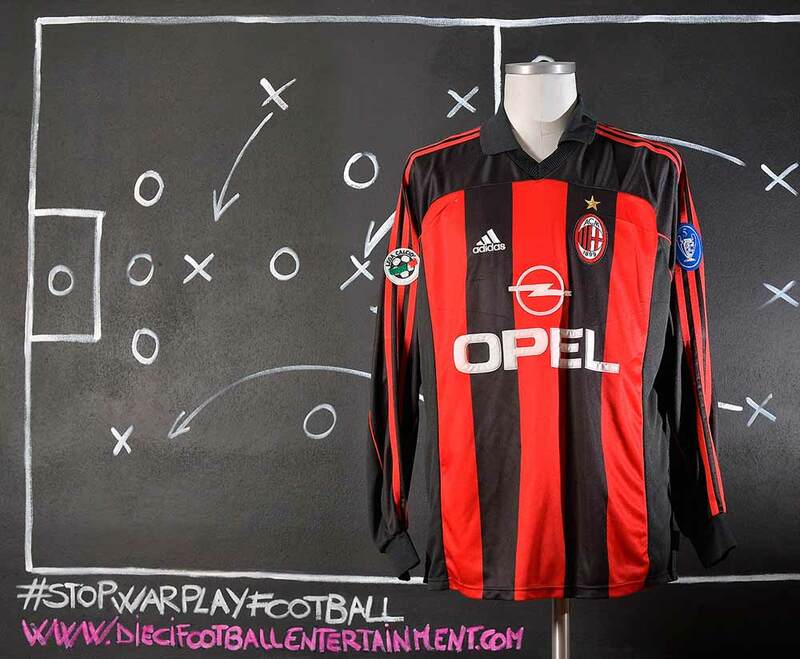 At Milan, manager Carlo Ancelotti decided to shift Pirlo in front of the defence as a deep-lying playmaker, which allowed him more time on the ball to orchestrate his team’s attacks. 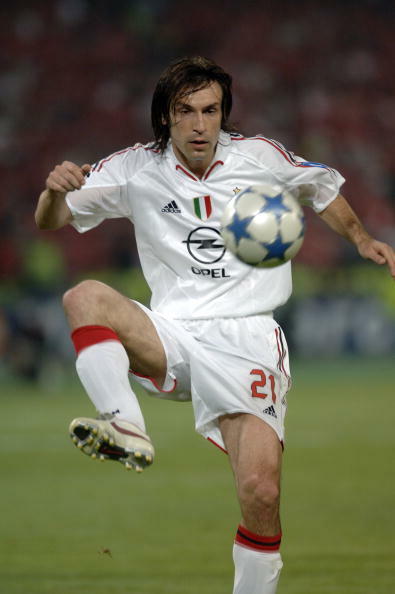 Pirlo excelled in his new role, and soon developed into a world-class midfielder, playing a key role in Milan’s subsequent successes, as he won two UEFA Champions Leagues (2003 and 2007), two UEFA Super Cups (2003 and 2007), two Serie A titles (2004 and 2011), a FIFA Club World Cup (2007), a Supercoppa Italiana (2004), and a Coppa Italia (2003) with the club. After joining Juventus on a free transfer in 2011, who had gone trophyless since 2003, he added four more Serie A titles (2012, 2013, 2014, and 2015), which he won consecutively, as well as two Supercoppa Italiana titles (2012 and 2013), and a Coppa Italia (2015). 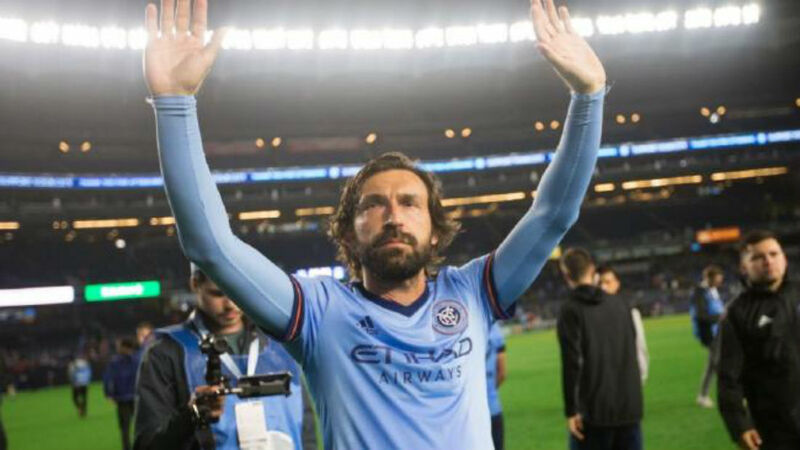 After playing in Italy for over 20 seasons, Pirlo joined MLS expansion side New York City FC in 2015, helping the team to reach the playoffs in his second season. 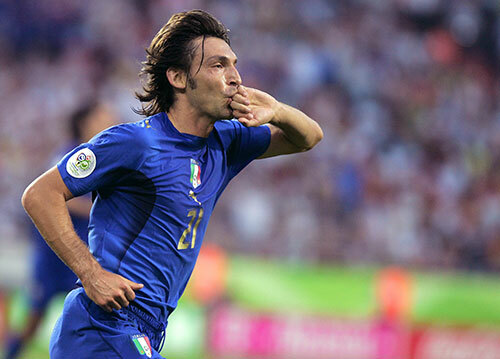 At international level, Pirlo is the fourth-most capped player in the history of the Italian national team with 116 caps. 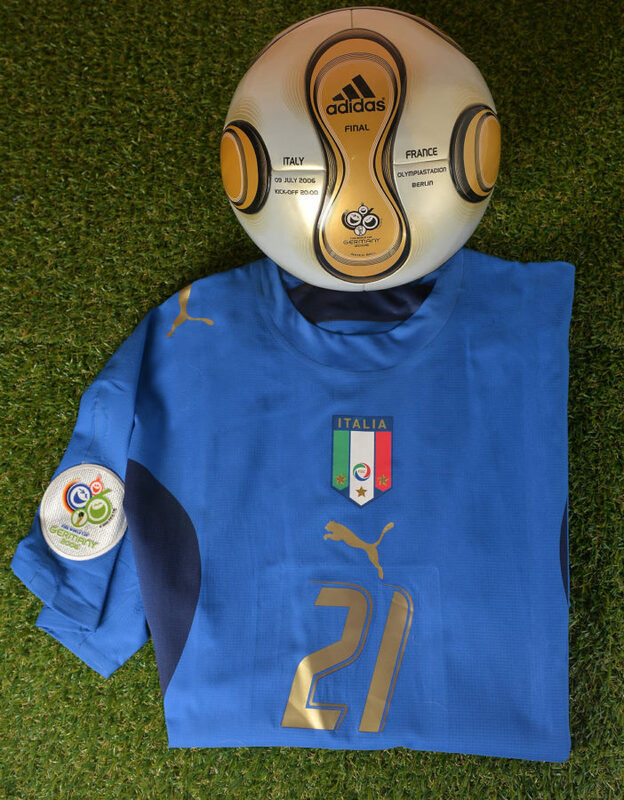 He has played for the Italian youth teams at U15, U18 and U21 level, captaining and leading the latter to victory in the 2000 UEFA European Under-21 Championship as the Golden Player and Top Scorer of the tournament. 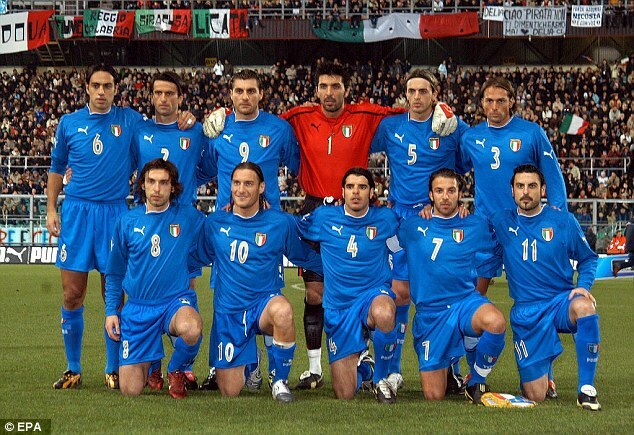 He joined the Italian senior side in September 2002 and captained the Olympic team to a bronze medal in the 2004 Olympics. 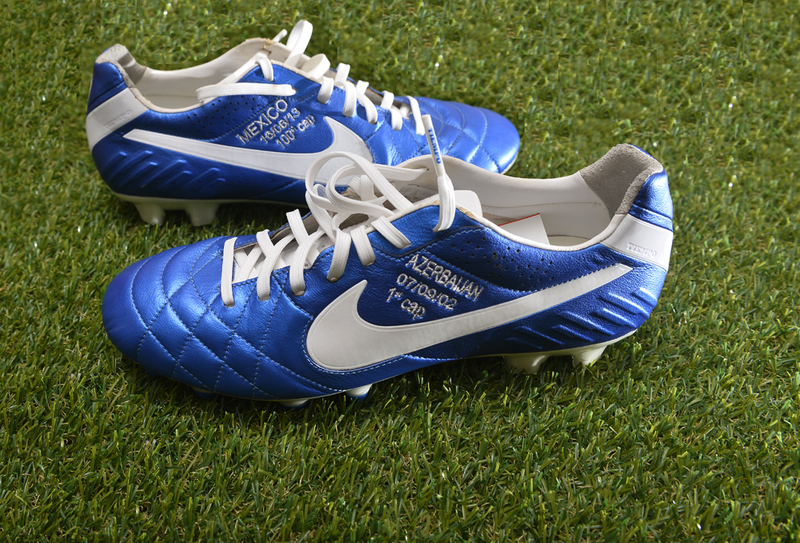 Later, he was instrumental in their victory in the 2006 FIFA World Cup. He was named Man of the Match three times, including the final, more than any other player in the tournament, and ultimately won the Bronze Ball (awarded to the third best player of the tournament) also being elected to the Team of the Tournament. 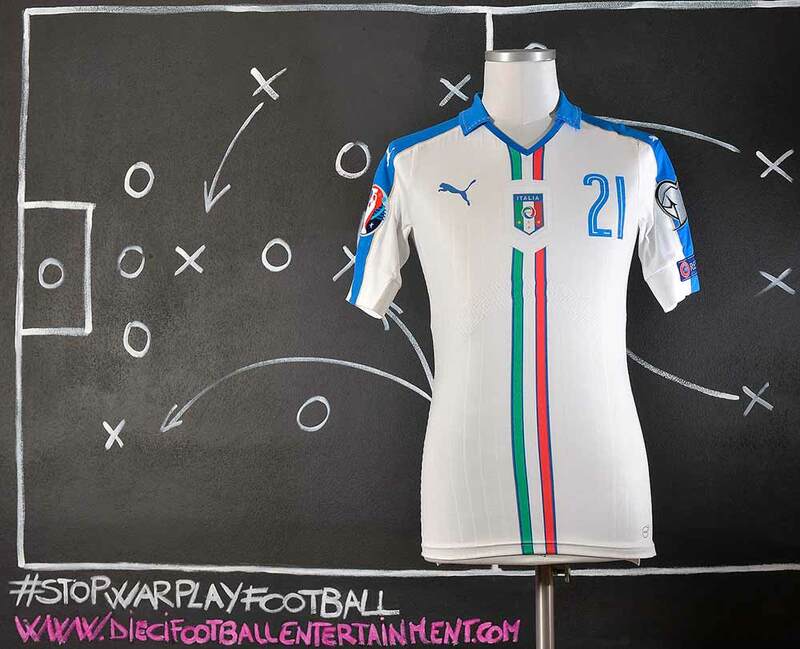 He was also elected as part of the UEFA Euro 2012 Team of the Tournament, after leading Italy to the final, winning three Man of the Match awards in the process, the most of any player along with Andrés Iniesta. 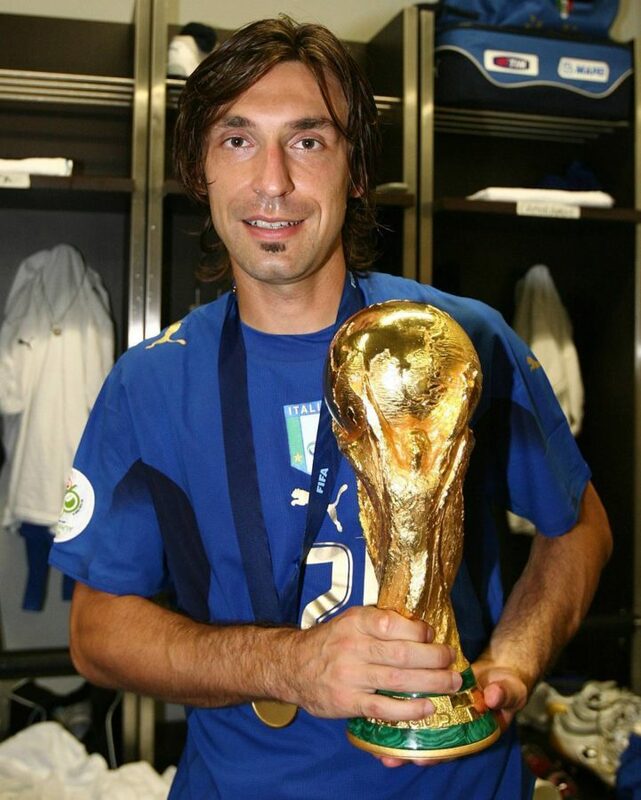 He has also represented the Italian senior side at the 2004 and 2008 UEFA European Championships, the 2010 and 2014 FIFA World Cups, and the 2009 and 2013 FIFA Confederations Cups, finishing third in the latter edition in Brazil, where he was also elected to the Team of the Tournament. Pirlo came in third, second, fourth, and third twice more in the IFFHS World Playmaker of the Year awards in 2006, 2007, 2012, 2013, and 2015, respectively. He placed fourth in the 2012 UEFA Best Player in Europe Award, and seventh in the 2015 edition. He placed 7th in the 2007 FIFA World Player, 5th in the 2007 Ballon d’Or and 7th in the 2012 FIFA Ballon d’Or award. He was also named as part of the 2006 FIFPro World XI and the 2012 UEFA Team of the Year. In 2012, 2013, and 2014, Pirlo was also elected as Serie A Footballer of the Year, and was also named as part of the Serie A team of the Year. After helping Juventus to the 2015 UEFA Champions League Final, he was named to the squad of the season. In 2012, Pirlo was named the eighth best footballer in the World by The Guardian, and in 2013, Bloomberg ranked him the fifth best player in Europe. In 2015, France Football rated him as one of the 10 best footballers in the world who are over the age of 36. 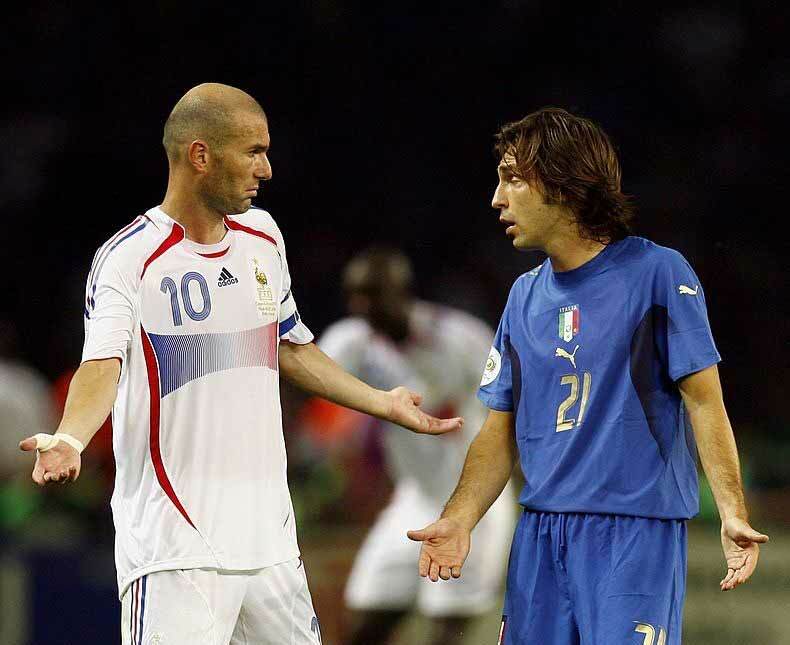 Pirlo was born in Flero, Italy, in the province of Brescia. 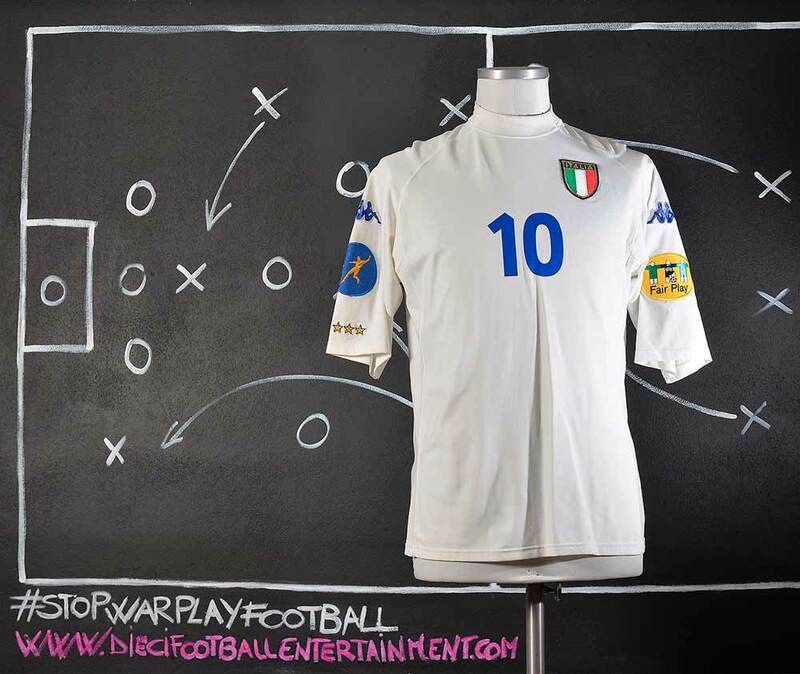 He began his career with the Flero youth side, later moving to Voluntas, and subsequently joined the youth sector of local club Brescia in 1994, where he initially played predominantly as a supporting forward. 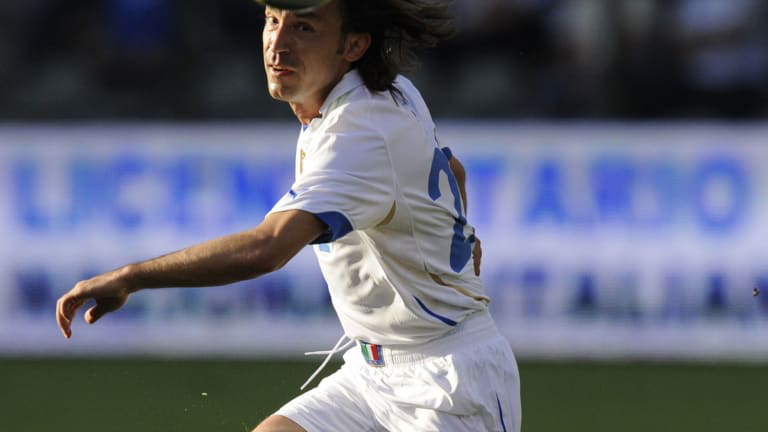 In 1995, at the age of 16, Pirlo made his Serie A debut for Brescia against Reggiana, on 21 May, becoming Brescia’s youngest player to make an appearance in Serie A. 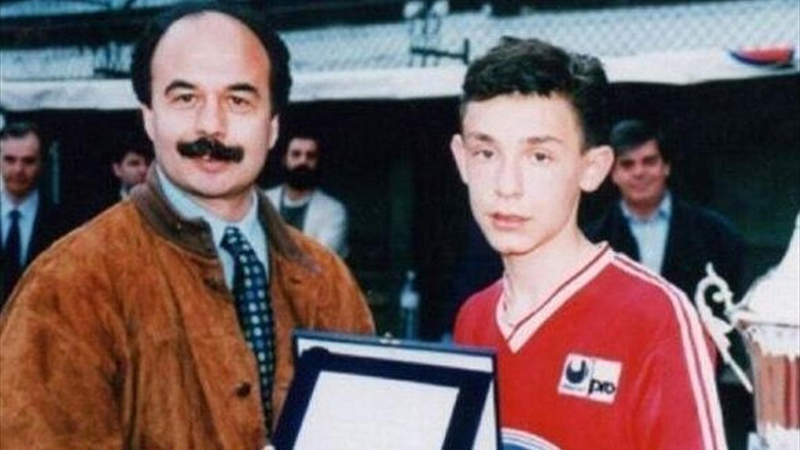 He was promoted by his coach Mircea Lucescu. The following season, he did not appear with the senior team, although he was able to capture the Torneo di Viareggio with the youth side. After breaking into the Brescia first team during the 1996–97 Serie B season, he helped the club to gain Serie A promotion the following season by winning the Serie B title. 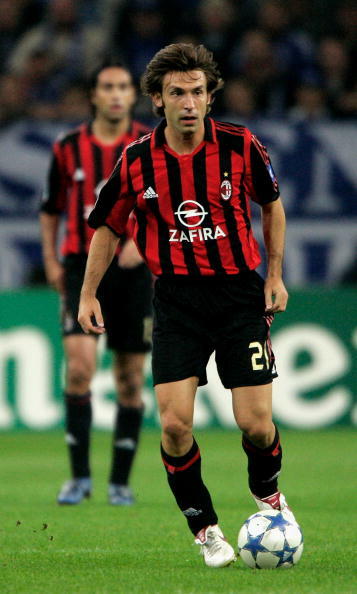 He scored his first goal in Serie A during the 1997–98 season, in a 4–0 home win over Vicenza on 19 October 1997. 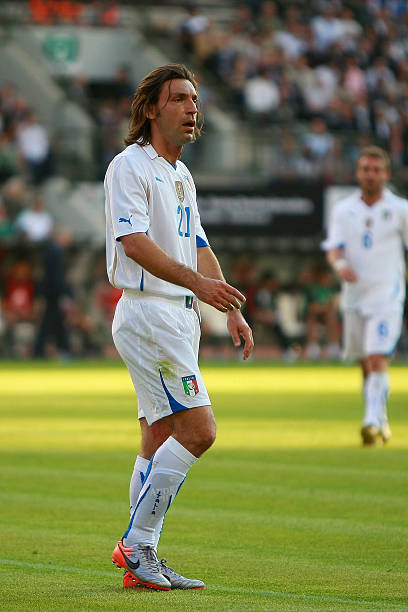 Pirlo captained Italy to an Under-21 European Championship in 2000, wearing the number 10 jersey, and winning the awards for best player and top scorer of the tournament with three goals; he scored both goals – one from a penalty and the other from a free kick – in Italy’s 2–1 victory over Czech Republic in the final. 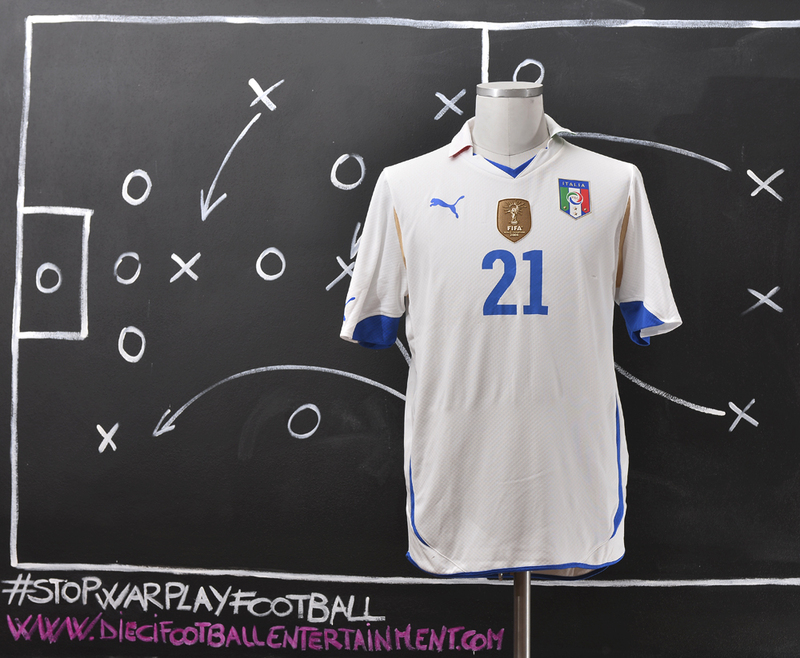 He also led the Italy Under-21 side to a semi-final finish in the 2002 edition of the tournament. 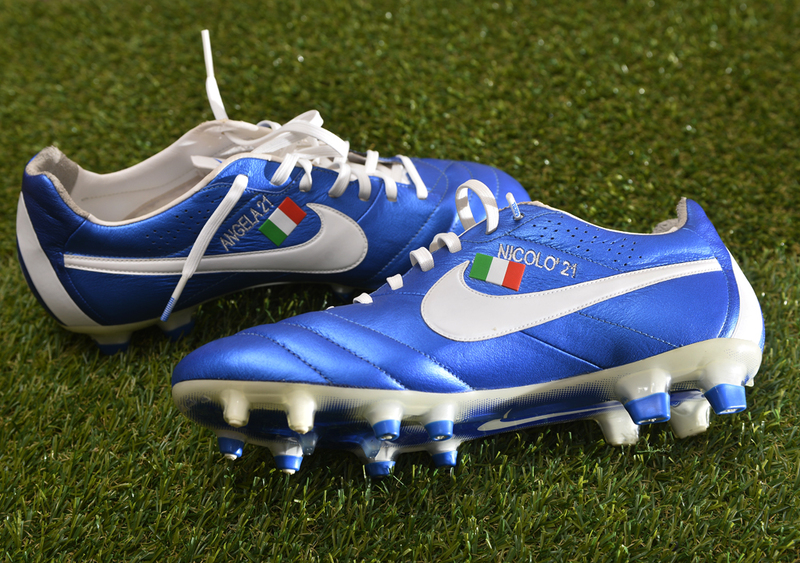 Pirlo played for Italy at the 2000 Summer Olympics in Sydney, scoring a goal in Italy’s 1–0 opening win over hosts Australia on 13 September; he also helped Italy win the bronze medal at the 2004 Summer Olympics in Athens. 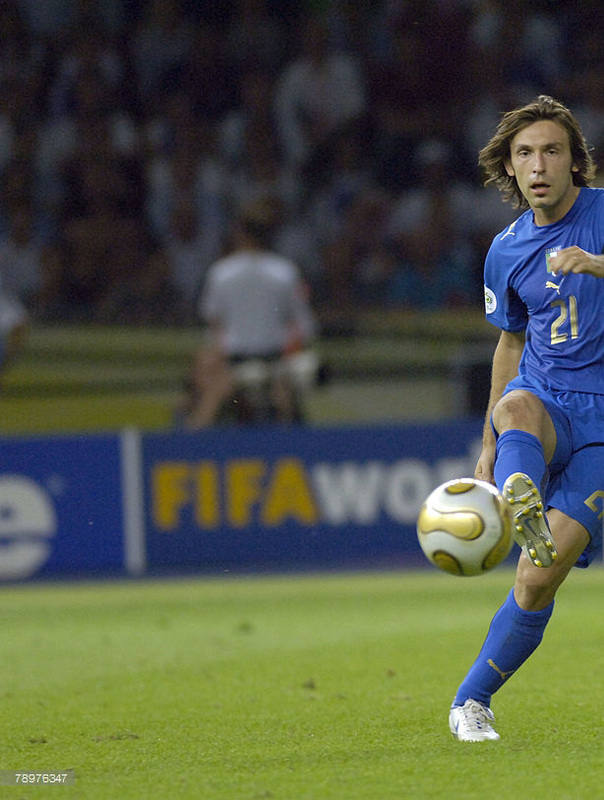 With 46 matches and 16 goals, Pirlo is the record appearance holder for the Italian U-21 side, and the second highest goal-scorer after Alberto Gilardino. 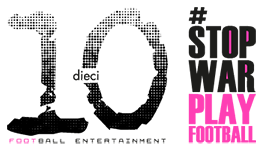 Tactically, Pirlo is capable of playing in several midfield positions, but is usually deployed by his club and national sides as a central midfielder, in the role of a deep-lying playmaker, due to his vision and passing accuracy. A highly technical and creative player, Pirlo is regarded by players, managers, and pundits as one of the greatest ever players in his position, as one of the best midfielders in the world and of his generation, and as one of the greatest Italian players of all time. He started his career in a more advanced role, as an offensive midfielder, and also played as a supporting striker on occasion. 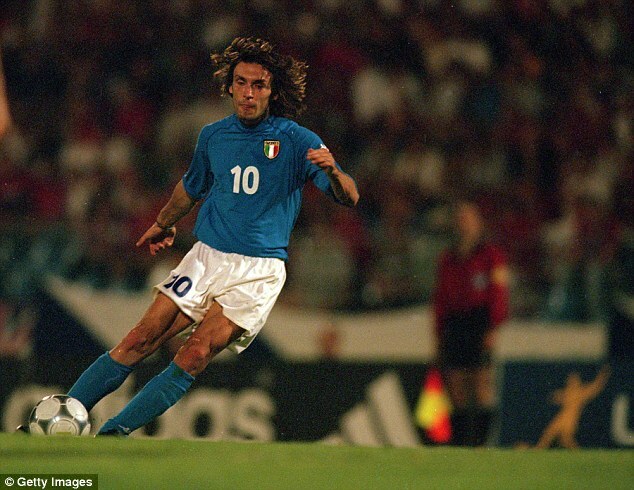 Although he was considered a talented young prospect, even drawing comparisons with former Italian footballer Gianni Rivera, Pirlo occasionally struggled in this role, due to his lack of pace, and competition from other talented and more dynamic players in his position. 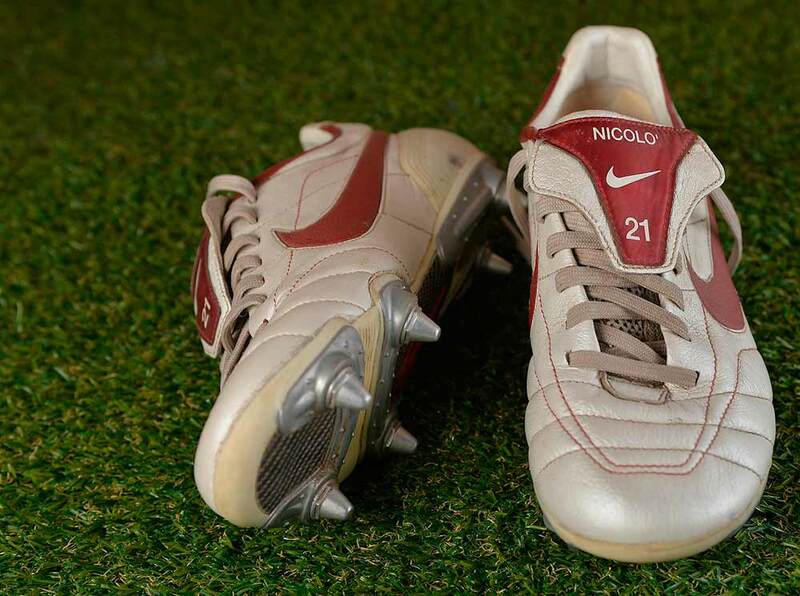 Because of this, he was later moved to a deep-lying playmaker role by his coaches Mazzone, Fatih Terim, and Ancelotti, where he was able to excel due to his unique capabilities. This position best utilises Pirlo’s attributes, and allows him to operate creatively from a deeper position, in or even behind the main midfield line, in a seemingly defensive midfield role, where he is allowed more time on the ball to create scoring opportunities with long balls. During his final season with Milan, Pirlo was also used on the wing under Allegri, due to his ability to provide accurate crosses. Although not gifted with pace, stamina, physicality or notable defensive skills, work-rate, or tackling abilities, Pirlo is known for his composure in possession, and has been praised for his touch, technique, balance, close control, and dribbling ability, as well as his flair and creativity in beating players with feints during one-on-one situations, in order to retain the ball and create space. As a playmaker, he is highly regarded by pundits for his outstanding vision, awareness, and football intelligence, as well as his movement, inventive play, anticipation, ability to read the game, and his wide range of distribution, which enables him to play the ball first time and rarely relinquish possession, even when put under pressure; in addition to being capable of playing precise, short exchanges to teammates, he is also known for frequently attempting riskier and more difficult passes and is renowned in particular for his extremely accurate long-range passing, both on the ground or in the air, with either foot, despite being naturally right footed. He is considered to be one of the best passers in the history of the sport, and is also known for his accurate striking ability from distance. These characteristics allow him to contribute to his team’s offensive play with goals and assists. 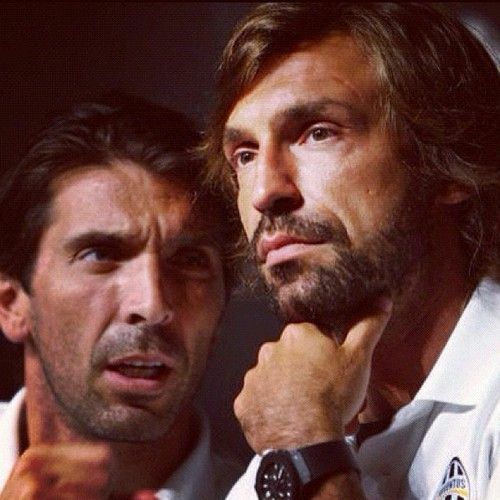 Pirlo is a set piece and penalty-kick specialist. He is regarded as one of the best free-kick takers in the world, and has been praised by pundits for his versatility, and ability to both score and create chances from dead-ball situations. He is extremely effective at curling shots accurately on target from close range, a technique which he perfected by studying Baggio in training sessions during their time at Brescia together. 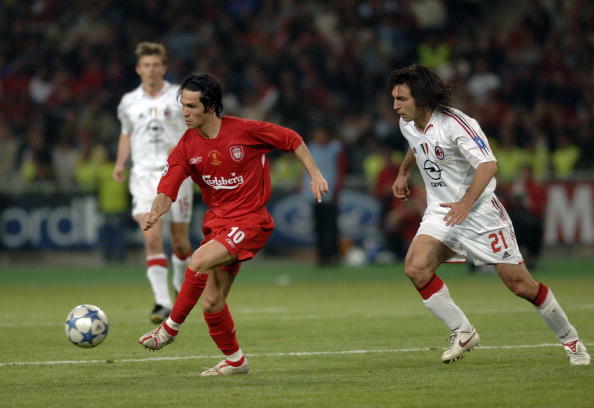 Pirlo is also capable of scoring from long-range free-kicks with swerve and power, due to his unique technique, which was inspired by Juninho’s “knuckle ball” free-kicks. 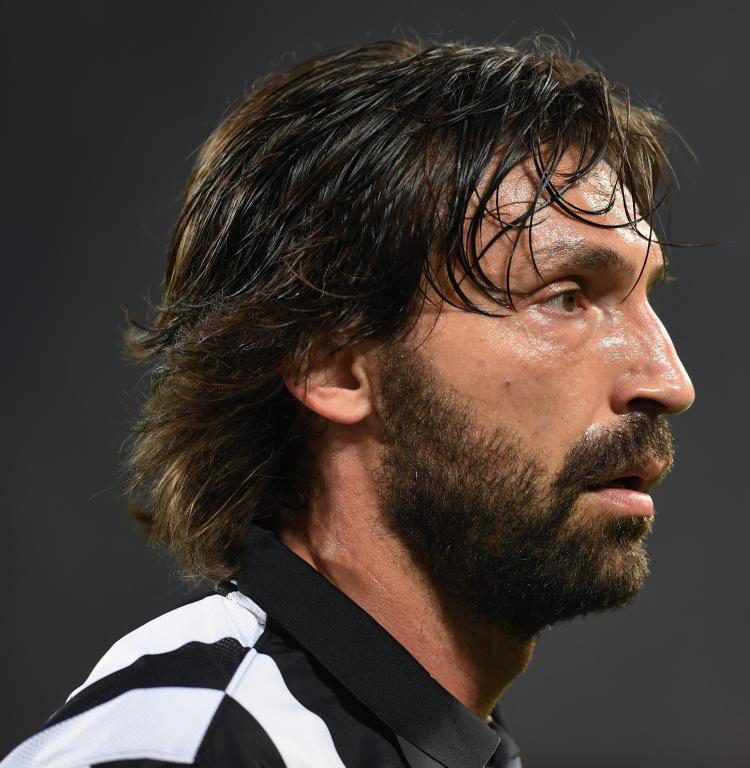 Pirlo has scored the highest number of free-kicks in Serie A, alongside Siniša Mihajlović. Pirlo was elected the 2012 Serie A Footballer of the Year, as well as the best midfielder of the season, also winning the 2012 Guerin d’Oro. He was named as part of the 2012 Serie A team of the Year for his performances. 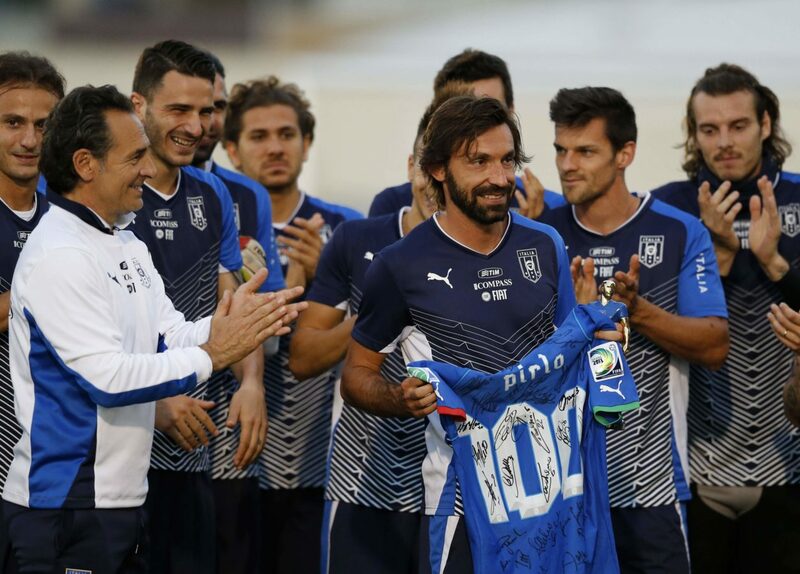 Pirlo also won the Pallone Azzurro, given to the best player of the year in the Italian National Team, as well as placing fourth in the IFFHS World’s Best Playmaker of the Year Award. 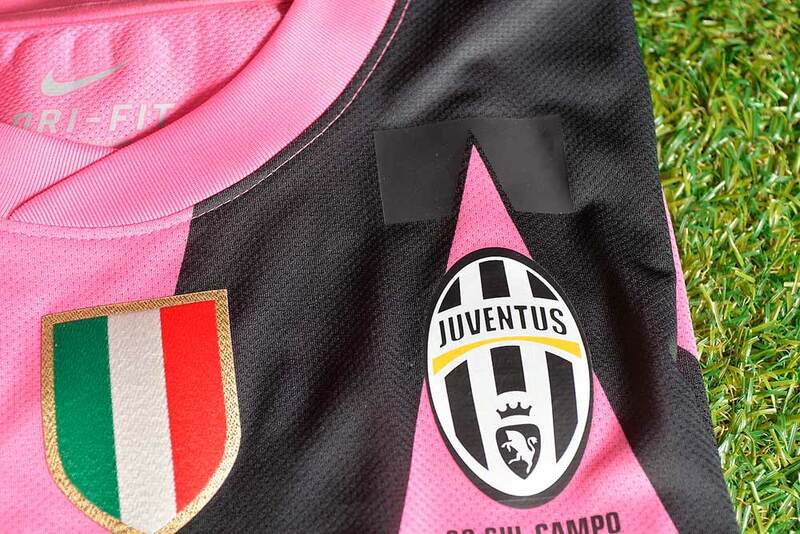 The plastic tape used to cover the three stars on chest, shaped to follow the shirt’s design. Pirlo was the only Italian player to be nominated for the 2013 FIFA Ballon d’Or, and was also nominated for the 2013 FIFPro World XI. In the 2013-2014 season Pirlo featured in Juventus’s 4–0 win against Lazio in the Supercoppa Italiana, on 18 August 2013, at the Stadio Olimpico, in Rome. 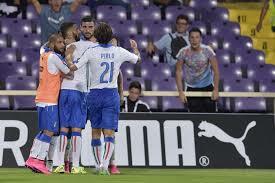 Pirlo helped to create Paul Pogba’s opening goal in the twenty-third minute of play. 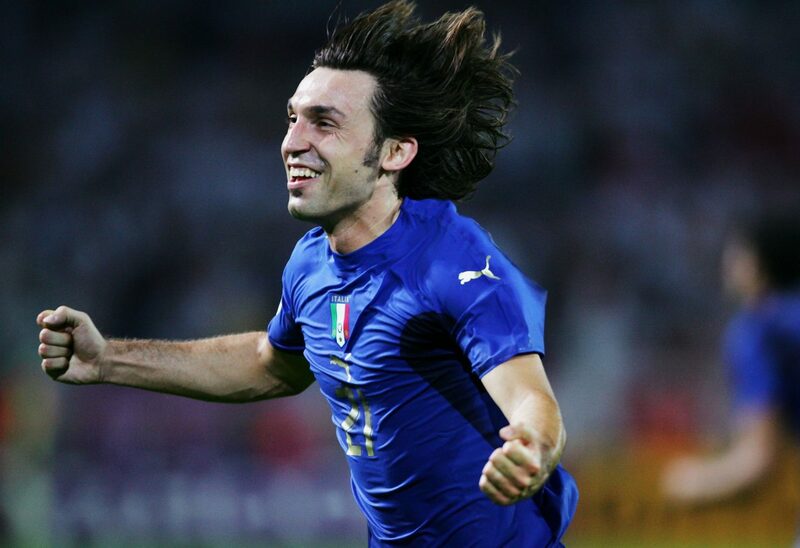 Pirlo was the only Italian player to be nominated for the 2013 FIFA Ballon d’Or, and was also nominated for the 2013 FIFPro World XI. 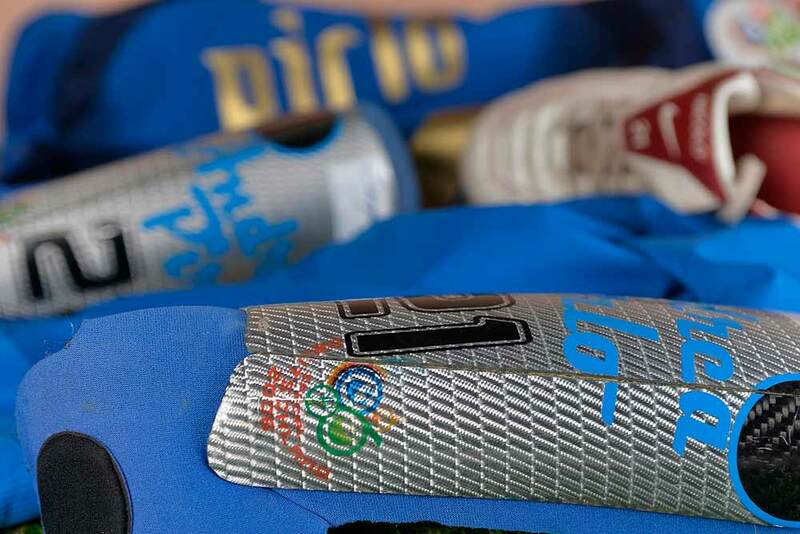 On 1 December, Pirlo sustained a knee-ligament injury which would keep him off the field for over a month. On 12 January 2014, Pirlo signed a new contract with Juventus, which will keep him at the club until 2016. On 27 January, Pirlo was named Serie A Footballer of the Year for a second consecutive time, and was once again included in the Serie A Team of the Year. Juventus won their 30th league title that season with a record 102 points and 33 victories; this was also their third consecutive title since Pirlo’s arrival. 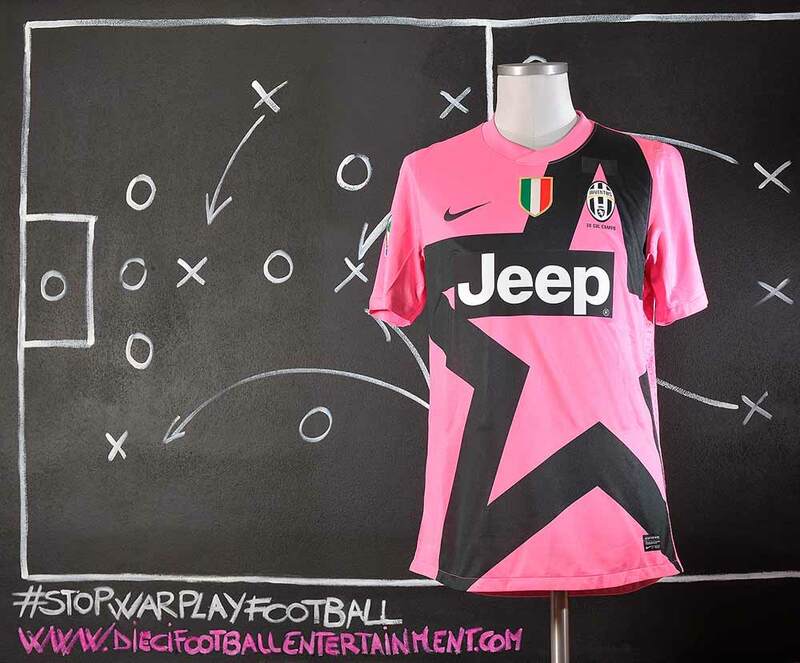 Juventus also reached the quarter-finals of the Coppa Italia, losing out to Roma. The Turin club suffered a group stage elimination in the Champions League, however, but managed a semi-final finish in the Europa League, losing out to Benfica, with Pirlo scoring a match winning goal from a free kick in the round of 16 against Fiorentina. 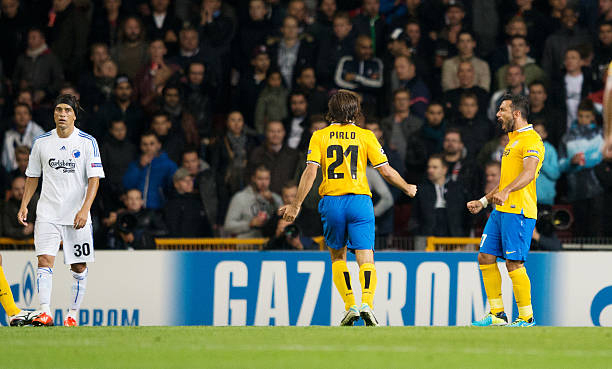 Pirlo was chosen to be part of the 2013–14 Europa League Team of the Season, for his performances in the competition. 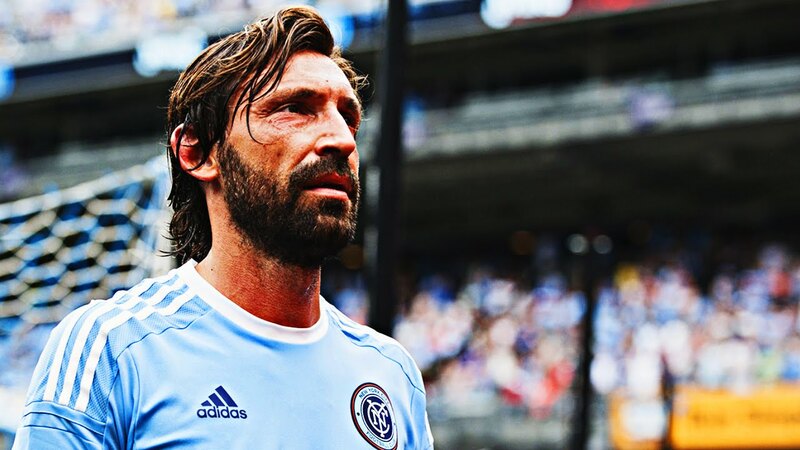 On 6 July 2015, it was announced that Pirlo had completed a move to MLS expansion club New York City FC as their third Designated Player. In doing so, he became the highest paid Italian player in all leagues with an $8 million salary, until Graziano Pellè moved to Chinese club Shandong Luneng the following year. He made his debut with the club on 26 July 2015 at Yankee Stadium in New York against Orlando City, coming on as a substitute in the 56th minute; he was involved in his team’s third and fourth goals and was booked in the 88th minute as New York won the match 5–3. 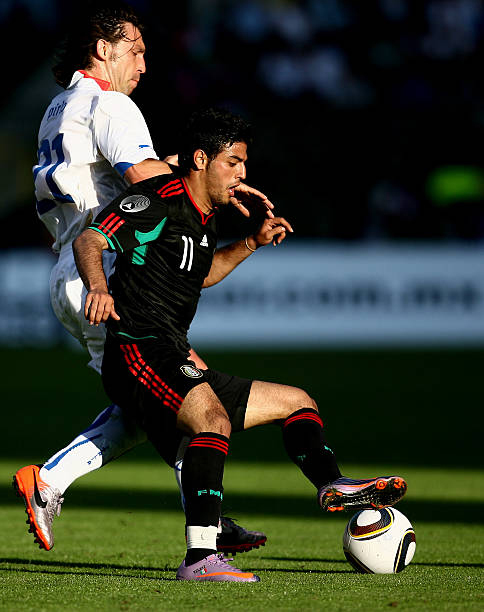 He made his first start for New York on 1 August, in a 2–3 home defeat to the Montreal Impact. Pirlo is one of two children along with his brother Ivan. Pirlo and his wife Deborah Roversi married in 2001 and have two children: son Niccolò (born 2003) and daughter Angela (born 2006). In 2014, Pirlo and Roversi divorced after thirteen years of marriage, following Pirlo’s affair with Valentina Baldini, a woman he met at his golf club. 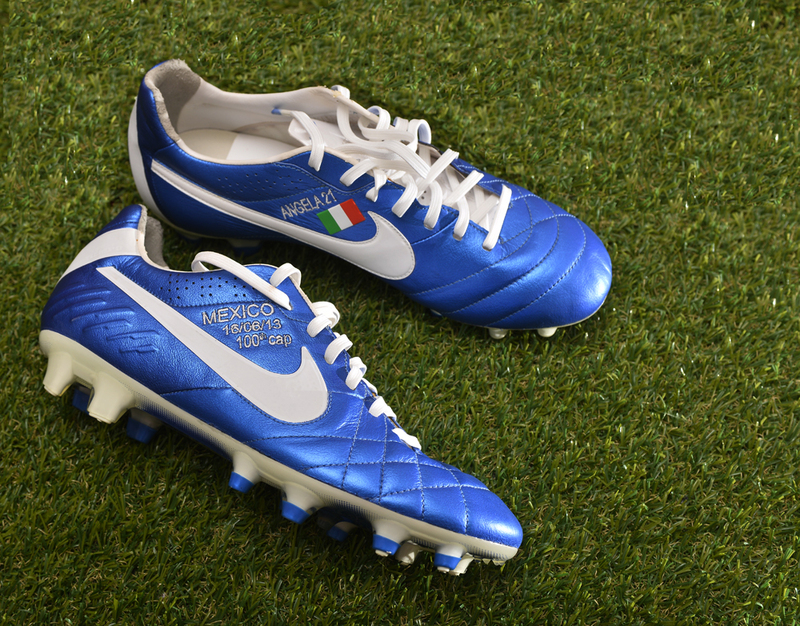 Pirlo’s father founded a metal trading company in Brescia in 1982 called Elg Steel. Pirlo himself retains a stake in the family business. With regard to his wealth from his family business and footballing career, Pirlo stated in an interview with Italian Vanity Fair magazine that he never talks about money. 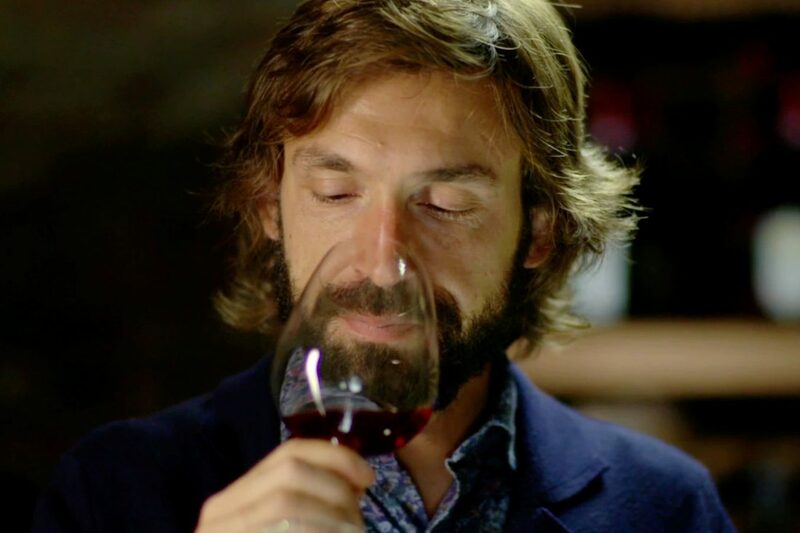 Pirlo is known for being a wine connoisseur and he also runs his own vineyard in Italy, which produces around 15–20,000 bottles a year.In July 2016, it was reported that Pirlo’s jersey was the highest-selling MLS shirt in 2016. 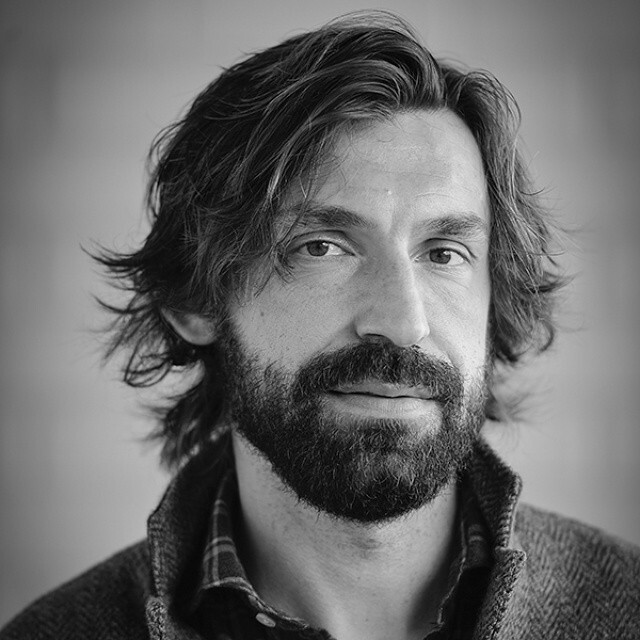 After struggling with persisting physical problems for most of the 2017 MLS season, on 8 October 2017, Pirlo announced that he would retire from professional football at the end of the season;in total, he was limited to only 15 appearances and two assists during the 2017 MLS regular season. He made his final professional appearance on 5 November, coming on as a 90th minute substitute in a 2–0 home win over Columbus Crew, in the second leg of the 2017 MLS Cup Eastern Conference Semi-finals; New York were eliminated from the Playoffs following a 4–3 aggregate loss.In total, Pirlo made 62 appearances for New York – 60 of which came in the MLS regular season, with the other two coming in the MLS Cup Playoffs – over the course of his three seasons with the club, scoring one goal and providing 18 assists, all of which came during the MLS regular season. 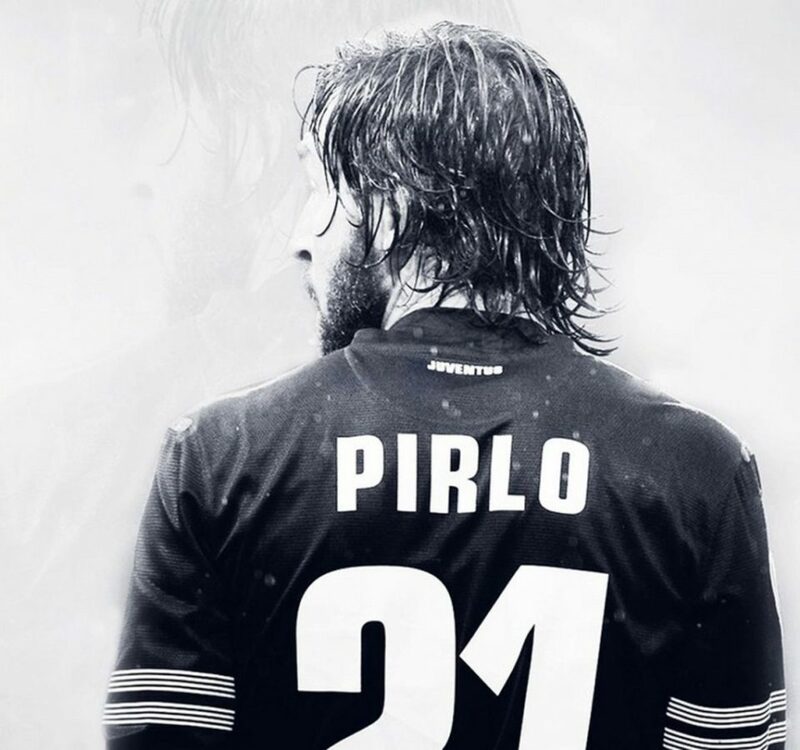 Pirlo officially communicated his retirement from professional football the following day, on Twitter.